It’s a race against time to finish one of Fortnite’s toughest challenges. 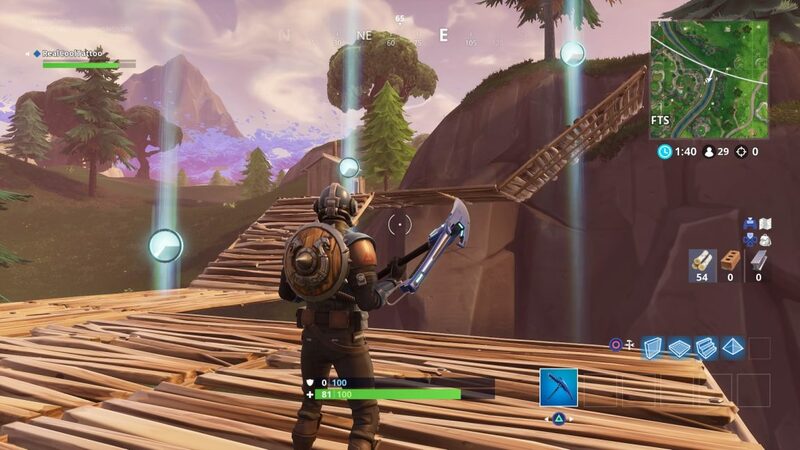 What you have to do here to Complete Time Trials in the Season 6, Week 10 Challenges is not only find stopwatches hidden around the Fortnite map, but build structures to collect the other stopwatches that appear when you use start the trial. This is one of the most difficult tasks to ever hit Fortnite since it requires considerable, and precise, set up – so it’s definitely one to try in 50v50 mode. You’ll need plenty of resources to attempt these time trials. We recommend starting the trial by activating the first stopwatch, and then building the course you need at your leisure. Once you’re happy with it, start the trial again and you can race through the checkpoints without having to worry about building. If you do it in Squads or Duos you’ll have all of your team’s resources to play with, and should be able to build your course much quicker. Note: These Timed Trials are not in the same locations as the trials from Season 5. Outside Tomato Temple (G2 on the map) you’ll find a light blue stopwatch right at the top of the temple. Activate it to start the trial. You’ll find the mountain here, there’s a stopwatch and Time Trial Challenge at the top of the villains lair (B4 on the map). South of Shifty Shafts is a bridge – just to the west of that is the stopwatch for the Timed Trial (E3 on the map). On the mountain south of Tiled Towers (D6 on the map) you’ll find a challenge. Contrary to what you’d think with a time trial, you don’t need an ATK for every part of this challenge, in fact, it’d be pretty hard to actually do some of them in time using one. Some are easier if you’ve got a vehicle though. 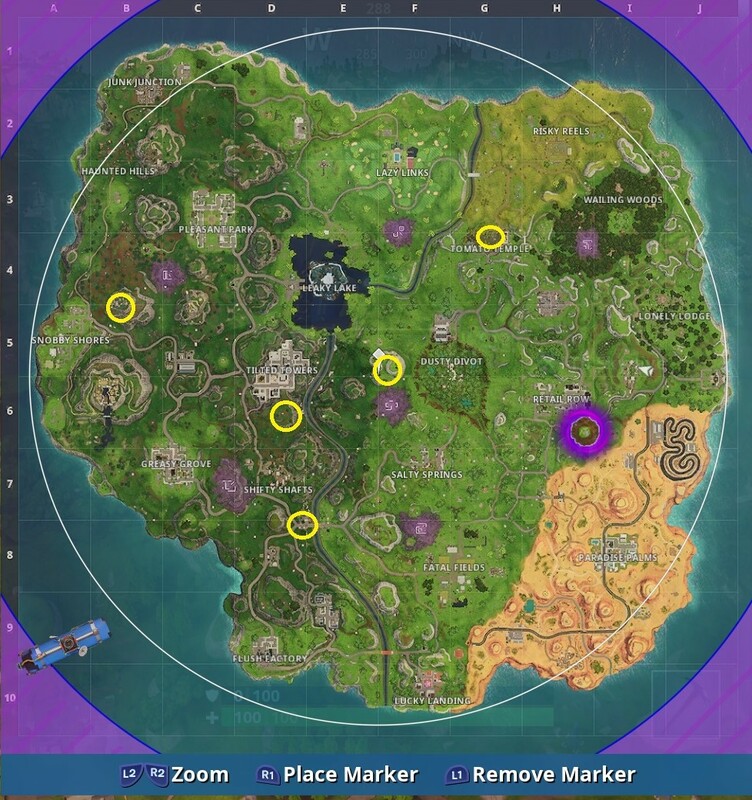 Here’s a list of the ATK golf cart locations we’ve found. Remember you only have to complete three of these to earn your rewards, but you do need to complete the match so don’t quit out once you’ve done one.